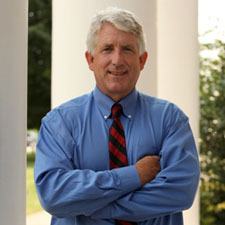 Attorney General Mark Herring has launched a two week public safety tour of Virginia in which he will hold 22 regional meetings to hear from local public safety and law enforcement leaders and local elected officials about challenges in their area and ways that he can help protect our communities. Invitations have been extended to community leaders, law enforcement and public safety officials from 58 localities to share their priorities, concerns, and opportunities with the Attorney General. For each regional meeting, at least the mayor or chair of the Board of Supervisors, Commonwealth’s Attorney, sheriff, and police chief of each locality has been invited, with attendance varying according to availability. While this tour will help inform the Attorney General’s decisions regarding public safety and law enforcement, he has also appointed a three-member panel to review the office’s legal operation. The panel includes recognized experts in Virginia state government, large law firm management, and private sector management who are working to identify reforms and efficiencies that advance Attorney General Herring’s priority of delivering high-quality, timely, and cost-effective legal work to the people of Virginia and their state government. The goal of both these efforts is to ensure that the Office of the Attorney General is working for the benefit of the people of Virginia and operated in a manner befitting a modern, major law firm representing their interests.